Here at Insite Portable Accommodation we are leaders in the supply of new and used portable buildings, holding over 25 years’ experience within the industry. With a fantastic reputation and client bank, today we are here to explain why we consider ourselves to be the most superior portable building supplier, listing just three of the benefits of doing business with Insite Portable Accommodation. Huge variety available – The collection of modular and portable buildings that we have for sale is incredibly extensive. We are constantly adding new modular buildings to our collections, ensuring that we are able to cater for the maximum amount of people possible. Some of the modular building types that we currently have in stock include jackleg cabins, anti-vandal units, portable offices and canteens, portable toilets and shower blocks and modular storage containers. Trusted specialists – We are trusted specialists in the supply of portable and modular buildings, boasting many years in business. We have been assisting people in obtaining the perfect modular buildings for their needs and requirements on a daily basis for a long time, and have in turn built a fabulous reputation within the industry. Not only do we offer portable buildings of the highest quality but also have a highly knowledgeable and professional team on hand who can offer expert guidance and assistance. 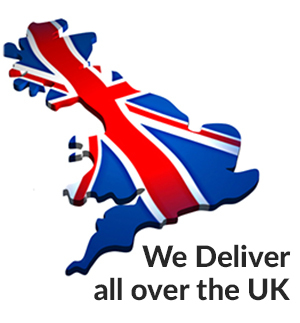 UK wide delivery – Here at Insite Portable Accommodation we deliver all over the UK, able to deliver the highest quality modular buildings to people all over England, Scotland and Wales. Not only this, but we are also able to provide professional installation services, allowing our customers to get their dream modular buildings in place without having to lift a finger. These are just three of the benefits of choosing Insite Portable Accommodation to fulfil your modular building needs too – If you wish to learn more, or if you have any questions, you can call our team on 01594 835024 today.